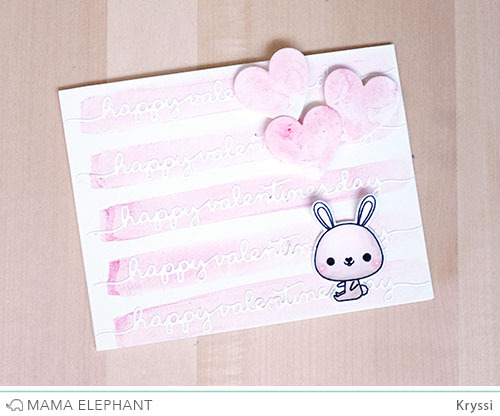 mama elephant | design blog: INTRODUCING: Oh Happy Birds + Happy Valentine's Day Creative Cuts + PROMO! 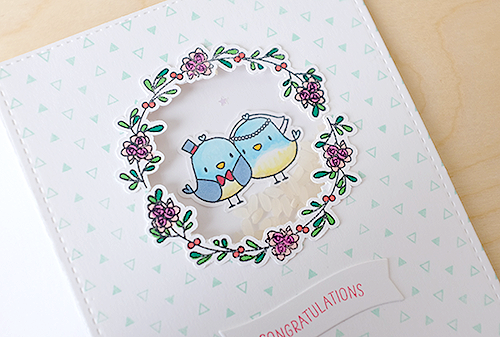 INTRODUCING: Oh Happy Birds + Happy Valentine's Day Creative Cuts + PROMO! 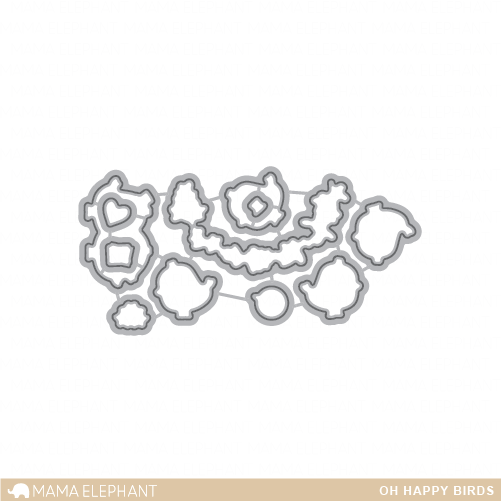 Oh what a happy day to introduce the Oh Happy Birds Set! 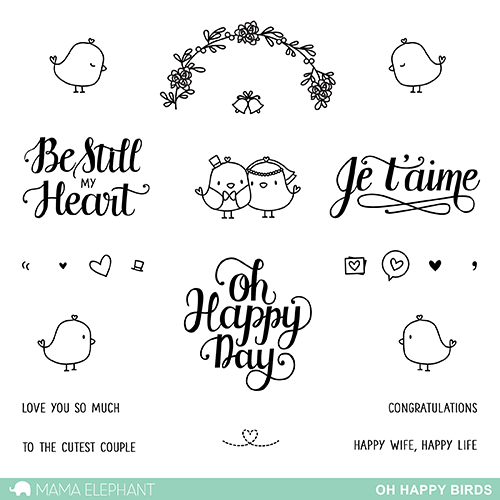 This set is compiled with the beautiful hand-lettered sentiments by Pauline Ibarra and some sweet and simple love birds. This combination is absolutely perfect for those wedding and those I love you kind of cards! 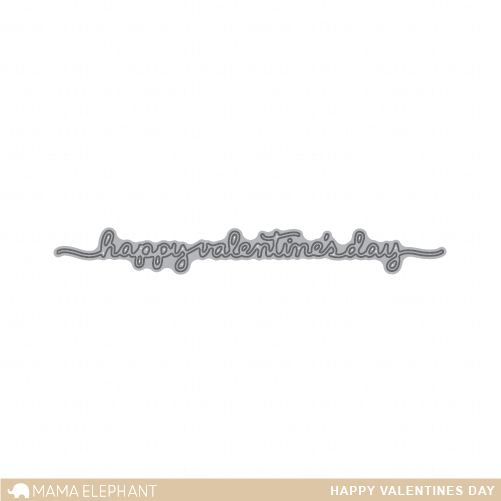 Here Kryssi used the new Happy Valentine's Day CC as a repeating background. The die is so cute and dainty, it looked like candy on top of the watercolored stripes! To celebrate our first release of the year, get this Happy Valentine's Day Creative Cut FREE with any purchase over $35 for 2 days only or while supplies last! Mama Elephant continues to bang out KILLER new releases. I must have this stamp set, because of the images and the sentiments. This is an amazing stamp set good for all occasions! Can't wait to get this one! I love the flower borders! Love this! Can't wait for midnight! The rice!!!! Love it so much! Counting down to midnight! Way too cute! Love those sweet lil birds so much! Two adorable cards! 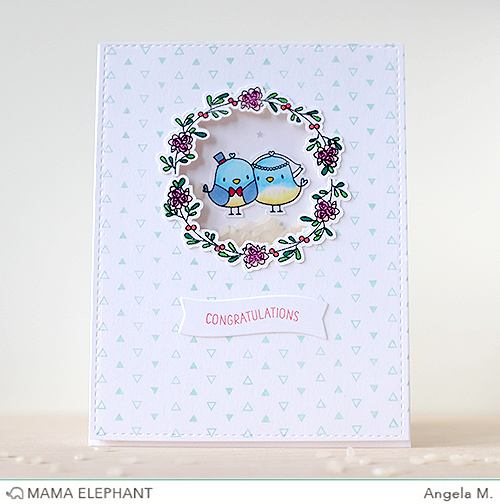 I love how Angela used rice for her shaker, and Kryssi's card is darling! You girls sure know how to play with the fabulous stamps and dies!